The bow and arrow is a symbol of primal adventure. It is a hunting tool, a weapon of war and protection, and is used for sport in archery competitions. The oldest known bow was found in a cave in Denmark and is carbon-dated to 9,000 BCE. Humans have been using bows and arrows for at least 10,000 years. We are excited to offer classes on this ancient art. Make a bow! 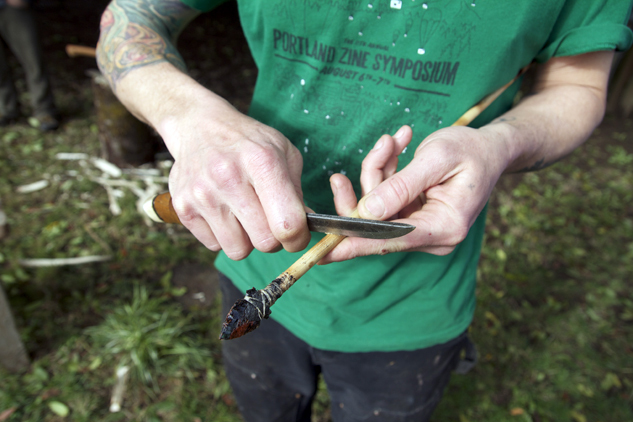 Learn how to make a bow using nothing more than a knife and your knowledge of local trees. In this two-day workshop, students will learn to harvest bow wood from the local forest, make a string using the reverse-wrap method of cordage making, and learn the basics of tillering, which is the art of the bowyer. You will come away with a usable bow of green wood and a new set of ancestral skills. Class will take place in North Portland. Flintknapping is the art of chipping stones into arrowheads and other stone tools. This class will focus on making arrowheads, one of the most attractive stone tools. These days, flintknapped arrowheads may be more practical as earrings than they are for hunters who have access to steel. Still, there is something to be said for making the tools yourself. 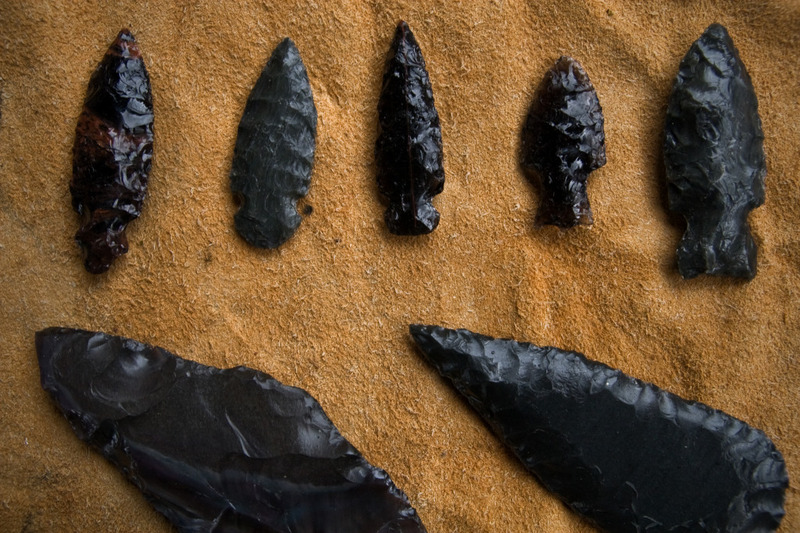 At our class we will learn to knap or “pressure flake” functional arrowheads out of obsidian harvested from Glass Buttes, Oregon. Learn the art of taking a straight stick and hafting an arrowhead to the front and feather fletching to the back! 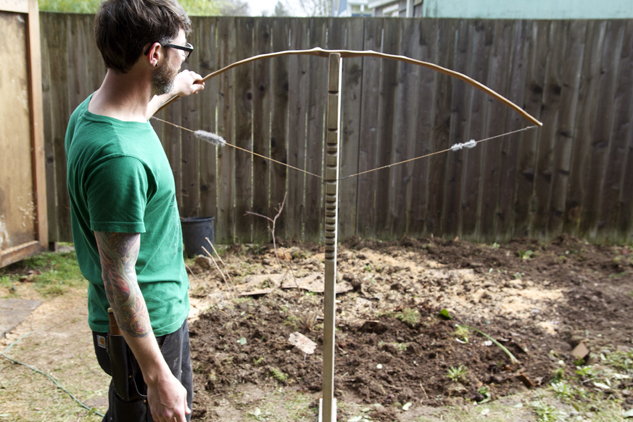 Also learn a few quick tips for making quickie arrows out of not-so-natural materials. Students take home a finished arrow. Class will take place in North Portland.